One of Canada’s finest poets, Jane Munro earned a Masters of Fine Arts in Creative Writing from UBC in 1978. Her thesis, Daughters, won the Macmillan Prize for Creative Writing. She taught creative writing at UBC and worked as a course designer at the Open Learning Institute, then completed a Doctor of Education in Adult Education in 1991. Her dissertation, which won the Charles A. Wedemeyer Award for book-length research in independent study and distance education, examined why students drop out of distance learning, and suggested ways to increase retention. Starting in 1998, Munro spent a decade on faculty at Kwantlen University where she taught creative writing, developed the first online creative writing course, and served as Coordinator for Distributed Learning. From there, she moved to BC’s Open University (OLA) as Associate Dean of Arts and Science. Then, the Centre for Curriculum, Transfer and Technology (C2T2) seconded her for three years to help foster innovation and collaboration in online learning across the public post-secondary sector. She was instrumental in developing BC Campus. Throughout these years, Munro continued to write and publish poetry. Munro’s other books of poetry include Active Pass in 2010, whose title poem was short-listed for a CBC Literary Award; Point No Point in 2006; and Grief Notes and Animal Dreams in 1995. Her work has been widely published and reviewed in literary journals, The Globe and Mail, the Toronto Star, and the Vancouver Sun, and was featured in The Best Canadian Poetry 2013. In 2007, Munro received the Bliss Carman Award for Poetry. She regularly gives readings across the country and is a member of the poetry collective, Yoko’s Dogs, which published its first book Whisk in 2013. 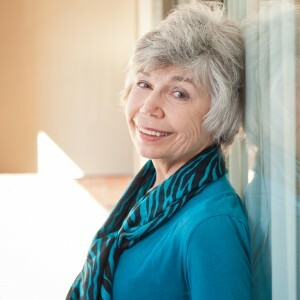 Active in the poetry community, Munro is a member of the Writers’ Union of Canada, the League of Canadian Poets, and the Saskatchewan Writers’ Guild.